The tour will start with a visit to the seaside village of Giardini Naxos, the first Greek colony in Sicily, founded in 734 BC. After crossing the promenade of the beautiful bay of Naxos, we will move towards Castelmola, but first brief stop at the wonderful “Isola Bella”, Natural Reserve considered the “Pearl of the Ionian” for its wild beauty, connected to the mainland by a thin strip of sand. From here, you can see the bay, protected by high walls of the headlands of Capo Sant’Andrea, which hosts the famous Grotta Azzurra (The Blu Cave) and Capo Taormina. You will be given time for a swim in these beautiful waters. In Castelmola we will walk along the characteristics streets of the town, and stop to see the ruins of the imposing Norman walls and the main square (Duomo) with the Mother Church, rebuilt between 1934 and 1935 on the existing cathedral and dedicated to St. Nicholas of Bari. 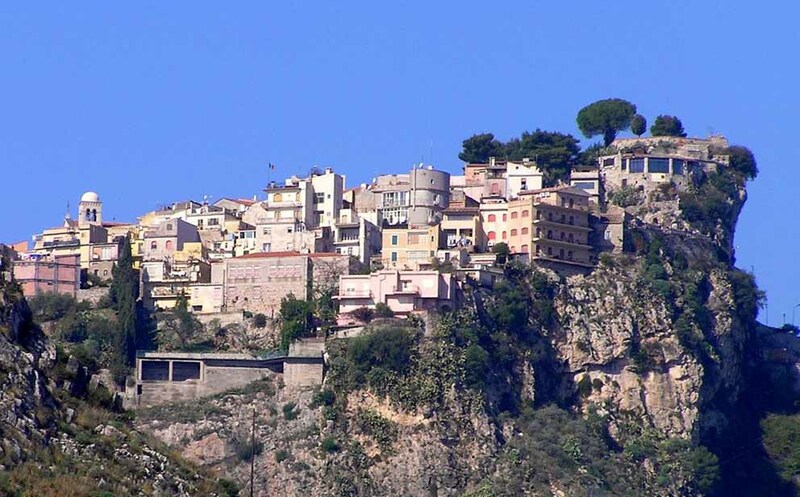 The last part of the excursion will be dedicated to visiting the picturesque Taormina. Along the main street of the town, Corso Umberto, closed downstream from Porta Messina and upstream from Porta Catania, it will be possible to admire the important monuments: Palazzo Corvaja (Museum of Arts and Popular Traditions*); Ancient theater*; Piazza IX Aprile; Clock Tower; The Fortess Cathedral (Duomo); Old Abbey; Palazzo Duca di Santo Stefano and much more. It will be also possible to go shopping in the exlusive shops that alternate with artisan boutiques. The cost includes: Shuttle Bus (return), Multilingual assistance. The cost does not includes: Multilingual guide (on request), Optional visit of Greek Theatre € 8,00, Museum of Art and folk traditions € 2,60, All that is not specified under “the cost includes”.